Mr William Nicholas Algar King was born on Thu, Jul 29, 1937 and is married to Carole. He joined the World Traders’ Company on Monday, July 1, 1996 having been introduced by Rev Peter Delaney. 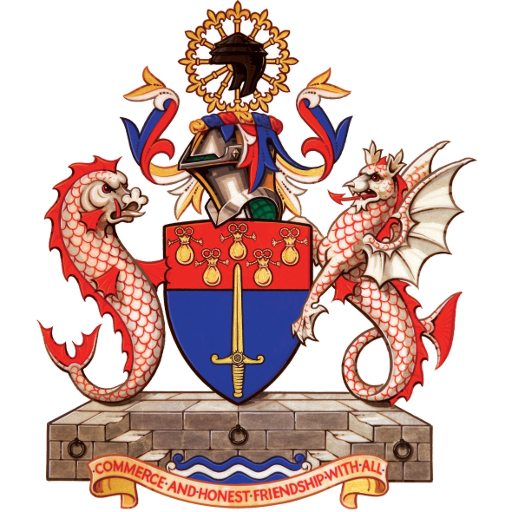 He was clothed as a liveryman on Thursday, March 16, 2000, having received the Freedom of the Company on Wednesday, July 10, 1996, and the Freedom of the City of London on Monday, July 13, 1998. He is also a liveryman of the Tallow Chandlers’ Company. William King, son of a City Merchant, was born in London in 1937, educated at St John’s School Leatherhead, commissioned in 1956 into the South Lancashire Regiment. He was seconded to the Parachute Regiment, and saw service in Cyprus and the Arabian Gulf. On his return to his parent Regiment he saw service in Aden and Northern Ireland. In 1978 he joined the City security printing firm of Greenaways, then a subsidiary of Lonhro Plc, in the City Division. In 1980 he joined the Sugar Association of London who are responsible for the management of the supervision and sampling of all raw sugar in the United Kingdom and for the rules and regulations of the Association, which provide for the proper conduct of the International Sugar Trade, including international arbitration hearings. In 1981 while still working for the Sugar Association he was appointed Secretary to the Federation of Commodity Associations and a member of the City Communications Committee and the City Information Liaison Committee. He worked closely with the City Polytechnic Short Course Unit and the City University in organizing commodity training programmes for the European Commission and International Training Centre of the United Nations in Geneva. In 1986 he joined the Federation of Oils, Seeds and Fats Associations (FOSFA) with special responsibility for developing trade education. For the next 19 years was Course Director of their international trade education programme. At this time FOSFA was developing internationally acceptable standards of superintending and analysis for bulk cargoes of edible oilseeds, oils and fats, and groundnuts. William became Secretary of the Federation’s Technical committee and was closely involved in the formation and expansion of FOSFA’s worldwide network of accredited Member Analysts and Superintendents from 38 in 1986 to over 350 by the time he retired in 2002. From 1992 until 2001 he was Secretary to the Oils and Fats Technical Committee of the International Standards Organisation based in Geneva and in April 2001 the British Standards Institution presented him with their Distinguished Service Award for his work with the development of British, European and International standards. William is an external lecturer and examiner at London Metropolitan University and has been associated with the MSc International Trade and Transport since its launch in 1995. In recognition of his contribution he was awarded an honorary Master’s Degree in Science from London Guildhall University in December 2002. Since 2002 he has been an educational consultant to various international organizations. In 2002 he was elected Chairman of the Business Houses Council of All Hallows by the Tower. His interests are shared with his wife Carole and include gardening, a passionate love of the countryside, and in nature conservation. They live in Haslemere, Surrey where they are both active supporters of the local community. William has one son Oliver, who is a political editor.